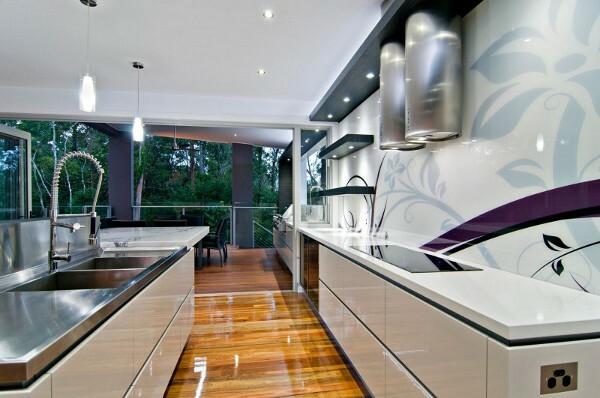 Award-winning designer Kim Duffin of Sublime Architectural Interiors has designed the Bushland Retreat Designer Kitchen. 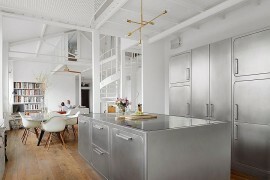 The kitchen was one of the things that were designed earliest for this intriguing home, as an innovative and strong centre point for all activities. 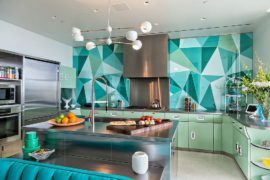 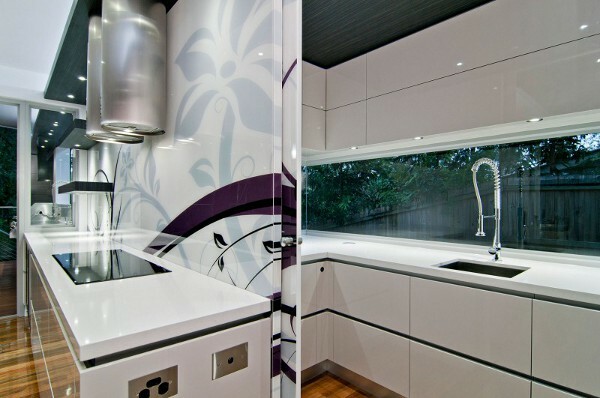 A glass splashback has been incorporated as the canvas to showcase the external colours, along with the custom designed graphic to establish the purpose of vines and bush flowers that connect the kitchen with the home. 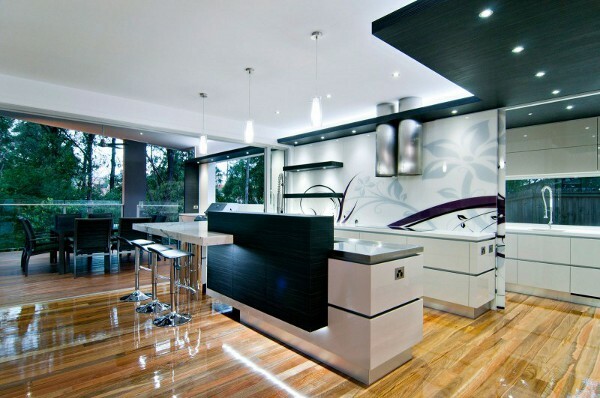 The textured wood grain laminated suspended ceiling runs through the full length of the kitchen, and to the outdoor kitchen as well. 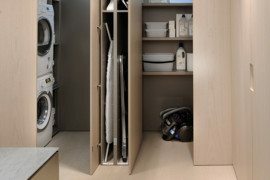 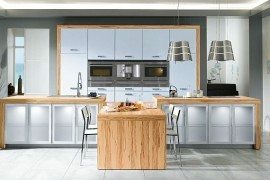 A simple colour scheme has been used throughout and the textured wood grain laminate has also been used in the suspended shelves, glass splashback and the storage box. 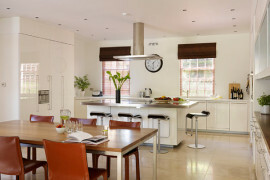 The kitchen has been divided into many zones; a key zone is the Scullery which houses the food storage, preparation and clean-up, which has easy access to utensils, cutlery, plates and other kitchen items. 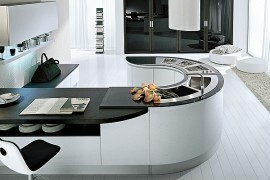 Another innovative place, called the Island, houses a custom-made stainless steel sink and fully integrated dishwasher. 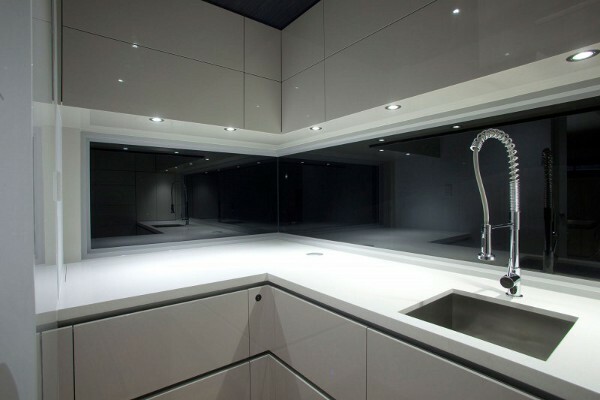 The end of the island features a single piece of Statuario marble which is supported by two mirror finished stainless steel columns, which give it a ‘floating’ appearance. 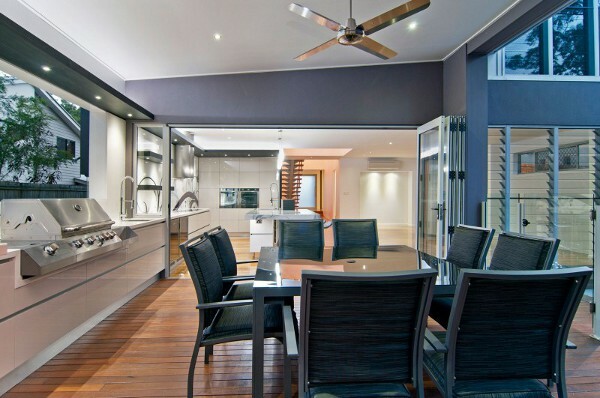 Throughout the indoor/outdoor space, the luminescence is given importance by extensive lighting. 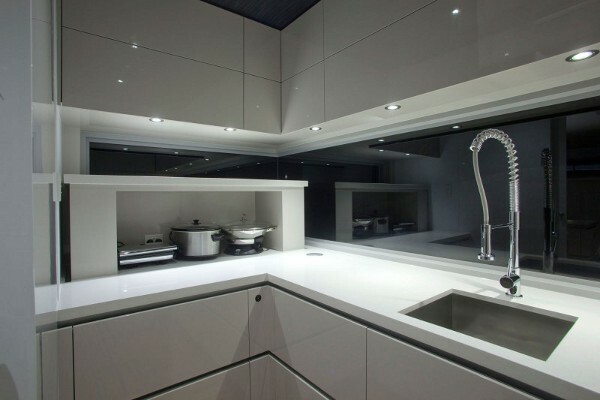 The usage of LED lights is widespread for this task, accompanied by glass pendants which support the fascinating lighting. 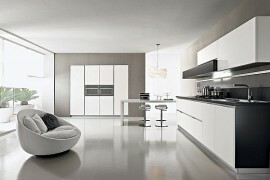 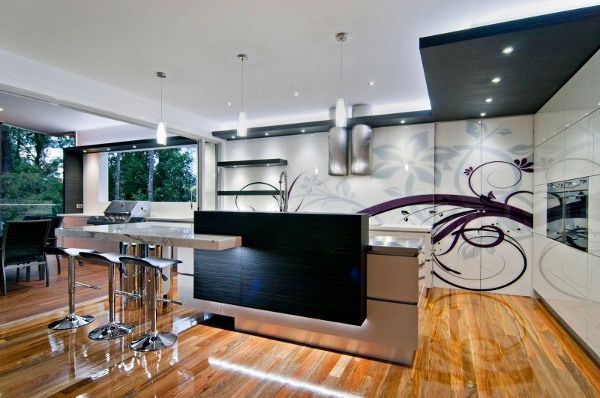 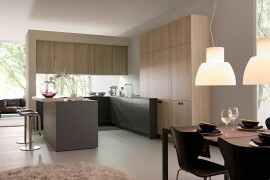 Exquisite, elegant design oozes out of this contemporary designer kitchen, which makes it ready for all occasions.